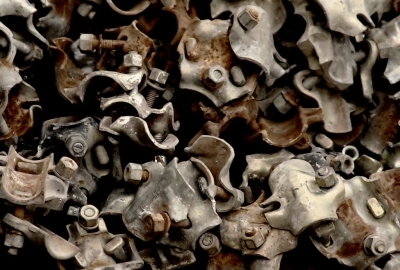 The US ferrous scrap export market for bulk sales is at impasse as the Turkish market players opt to suffice their needs with raw materials from European counterparts rather than the USA. To everybody’s utter dismay, there has been no new bulk sales reported on the US East Coast since a Turkish producer struck a deal at $235 per tonne cfr for an HMS 1&2 (80:20) on June 8. No US West Coast cargo sales have been reported since a South Korean producer booked two HMS 1 deals at $233 per ton cfr. International bulk trades to Turkey came to a halt after a June 13 cargo sale agreement with an UK exporter for HMS 1&2 (80:20) at $226.50 per tonne cfr. Buying activity resumed on June 20. 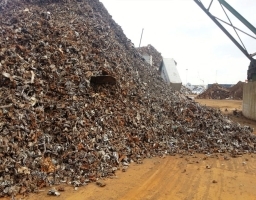 Competing with US ferrous scrap as a raw material for Turkish steelmakers, Chinese billet slipped after being stable at 1,850 yuan ($281) for nine days. Ex-works prices dropped 40 yuan ($6) to 1,810 yuan ($275) June 21. Chinese billet offers were reported at $300 per tonne delivered to Turkey last week, according to sources. There is speculation that domestic sales will have to keep pace with the movement of Chinese billet. A Turkish mill secured three cargoes at $218 per tonne cfr June 20. Another Turkish producer bought 18,000 tonnes of a HMS 1&2 (75:25) and 7,000 tonnes of bonus-grade scrap at an average price of $221 per tonne cfr, according to sources. "There is still nothing more from the USA with regard to bulk sales. It looks like the previous, $235-per-tonne deal could not be repeated for the time being, let alone a cargo at a higher price," an US East Coast exporter source said. Below is the graphic representation of Imported Scrap price of shredded scrap from US to India as on 22nd June 2016. "The North American market is supply driven right now, with prices reacting to supply, not so much demand. Unless we shift back to a demand-driven dynamic, Prices have to follow the common denominator, which is Chinese billet prices and Turkish billet import prices," a West Coast buyer said, noting the global nature of today’s scrap business. Shredded scrap prices settled down $50 per gross ton, at $240 per ton ($236 per tonne), in Philadelphia this month. The same scrap grade was sold at $240 per tonne cfr ($227 per tonne fob) in the June 8 cargo deal to Turkey. This puts the spread between Chinese billet and US domestic scrap at $64 per tonne and export shredded scrap at $60 per tonne. Chinese billet has historically traded about $110 per tonne higher than US 80:20 HMS exports and $105 per tonne higher than US shredded scrap exports. Shredded scrap normally trades at a $5-per-tonne premium to HMS 1&2 (80:20). "The last time the price spread [between US scrap and Chinese billet] got this close was in January 2015," the West Coast source said. 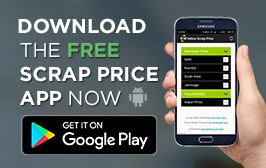 "The difference is that [scrap] flows were more robust then than now. I do feel we are in for a (price) correction." he added. He said Turkish mills were better off buying billet now. 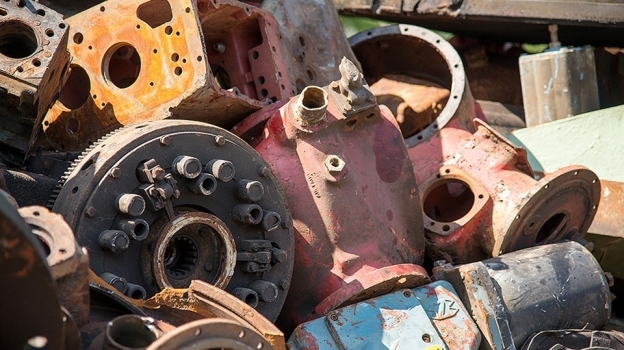 Domestic scrap prices fell almost $100 per ton in the February 2015 settlement. The lack of bulk activity has left ferrous scrap export indices for scrap unchanged at $222 per tonne fob New York for heavy melt and $227 per tonne fob New York for shredded scrap. The West Coast ferrous scrap export index for heavy melt scrap was also unchanged at $217 per tonne fob Los Angeles.